At Retreat Here, we believe technology should serve us, not enslave us. Our fancy gadgets, designed to make our lives easier, have become the cause of rising stress levels and anxiety. It is no surprise that digital detox retreats are increasingly popular. Ditching your devices is easier said than done, so we’ve listed three unique places in Australia that make unplugging easier. 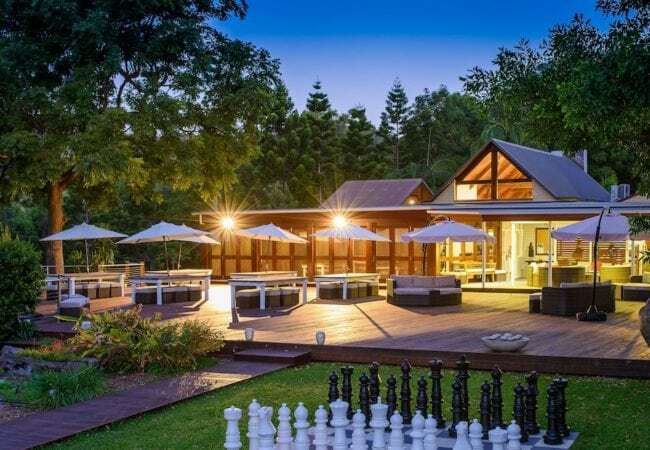 A short 2 hour drive from Melbourne’s CBD, you’ll find Balgownie Winery Retreat. Amidst lush greenery and vineyards, this unique location offers a luxury homestead and 15 glamorous tents. Whether you stay in the homestead or tents, surrounding yourself with Balgownie’s beautiful landscape instantly creates a sense of calm. It also makes a perfect base for outdoor yoga and wine tasting, which is why it’s an ideal location for a tech-free yoga retreat! For the ultimate digital detox experience, we highly recommend the bell tents or safari tents. Whereas the safari tents are more spacious and have an en-suite (ideal! ), both options are entirely TV- and Wi-Fi-less. This definitely makes unplugging from the outside world a lot easier. Nestled in the dunes of Cape Range National Park you’ll find the ideal place to disconnect from modern-day life. Sal Salis is an eco-friendly safari camp with sixteen eco-luxe tents. The remote camp blends in with its natural surroundings and its location forms the ideal base to spot awe-inspiring wildlife. All tents have been designed with your comfort in mind. They provide striking views of the crystal clear waters and surrounding landscape. Due to its remote location there is no mobile phone or Wi-Fi connection (yay!). Embrace it! Of course, if there are any urgent needs, the camp has a landline. The heart and soul of Sal Salis is the camp’s main lodge. A comfortable lounge forms the ideal spot to join fellow travellers for a chat, or read a book from the small library. In the evening, gather in the dining area for a delicious dinner and admiring the astounding number of stars in the night sky. Apparently it’s one of the best places to see Milky Way..! Sal Salis provides an exclusive experience to really get away from the outside world. Your stay is guaranteed to reset your personal batteries, leaving you more mindful of your daily ‘screen-time’. Gwinganna, meaning ‘lookout’, sits high on a plateau in a peaceful region of the Tallebudgera Valley in Queensland. Surrounded by ocean and valley views, this well-renowned health retreat promises a tranquil haven to create stillness in your mind. The serenity beckons for some serious soul-searching and allows guests to recover from the hectic outside world. A variety of beautiful accommodation is available for the most discerning traveller. The newest additions are three Meditation Suites, including meditation cushions and a yoga mat. You’ll also find an iPod loaded with calming music to further encourage your meditation practice. The fact that there are no TV’s in the rooms will help you escape from the daily grind. Guests are encouraged to leave laptops at home and truly disconnect. Regardless of the duration of your retreat, Gwinganna’s serene environment will ensure a blissful digital detox escape, so you can tune in with yourself.